15" Long. With a feathery red-brown plush body and workable beak, this barnyard beauty could be Chicken Lickin', Henny Penny, or the Little Red Hen. 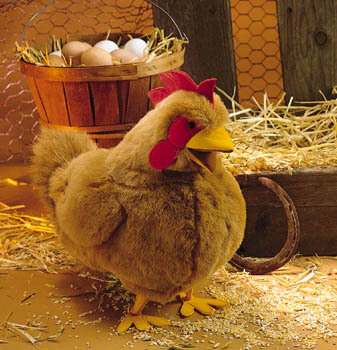 Make storytime something to cluck over with his Hen puppet.